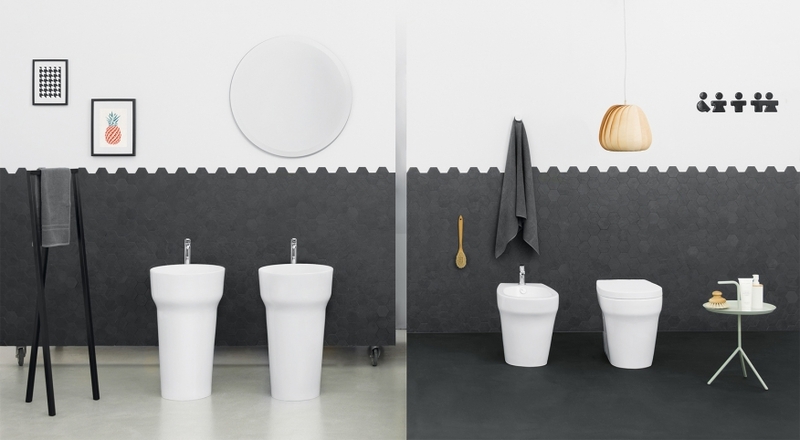 Pop stands for "popular” or "popular sanitaryware", collection characterized by "a design for everyone", which aims to reach a broader aesthetic consensus . An Industrial design with harmony, simplicity and popularity as identifying elements along with immediate and proportionate signs that arouse instantaneous empathy on the end user. Formally, the conical and linear base opens out into a thick ceramic rim that animates the outline. 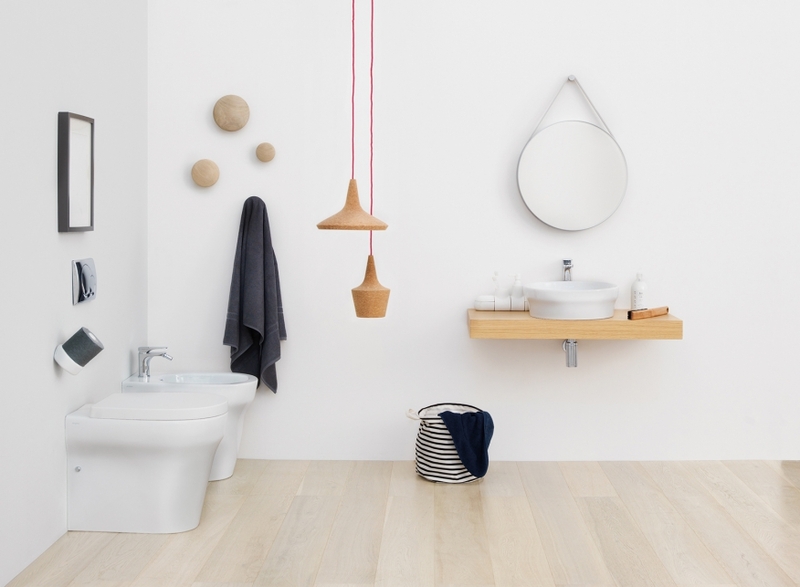 The collection includes wall-hung, back to wall sanitary-ware, wall-hung, countertop washbasins and a freestanding washbasin. The Pop back to wall Wc, in particular, can be easily fixed on new and old installations through the use of an adjustable flush, this solution being particulary useful for not breaking the existing walls when renovating the bathroom area.